It's amusing, but useful info. One of Ryan's lines in that video has stuck with me since I first saw it: "Capable bikes are owned by capable people." You can get an idea how an owner likely maintained their bike by looking at how well they maintained other aspects of their lives. as been mentioned, seeing the owner in his/her environment gives you an idea how organized they are or aren't and how they take care of their stuff. and maintenance logs. Also know, if you're a new rider jumping on a Vee, you're going to lay it down. Probably in your driveway. It's a tall bike with a high center of gravity. You'll be able to piece your turn signals back together with Goop. Your pride you can just let go. So how goes things? How was your class? I personally got to ride a Wee for the first time this weekend. Newer model, but it was as good as I imagined. Much better than some other bikes I test rode. Unfortunately, I also tried out a Honda CTX700 and actually really enjoyed it, despite being the first time ever on a cruiser. But the VStrom 650 isn't out of the running yet! I'm still quite curious what that $1500 2004 Wee is like that you are talking about. One of the bikes this weekend that I checked out turned out to be quite the hack job. Heres to hoping you have better luck! Again, thanks for the input and advice. 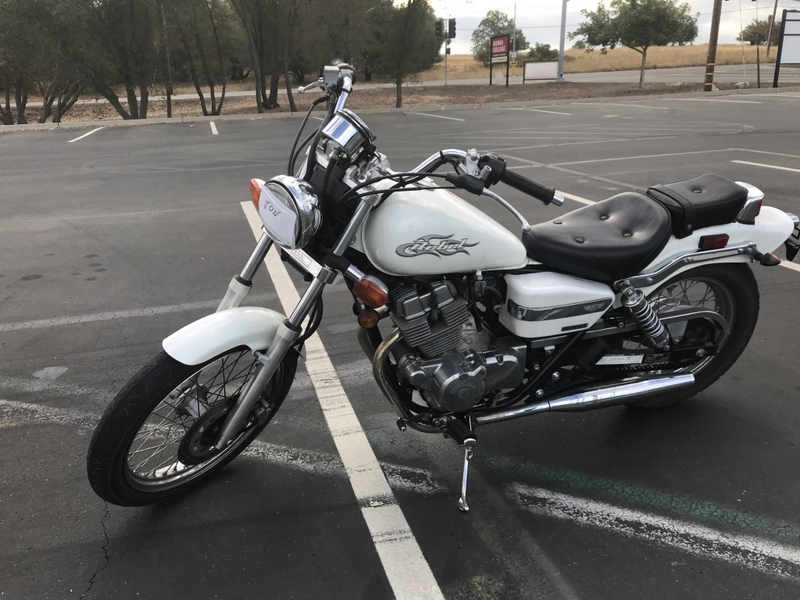 To begin with, while in Sacramento (2 hours from home) for my California Motorcycle Training Class, I took the opportunity to look at various bikes at dealers there. I had the opportunity to stand over a 2015 V Strom with all the bells and whistles. It seamed to fit reasonably well and, I really liked the bike. Unfortunately, it is way above my beginning price point. I am going to chat with the seller of the 2004 Wee I had mentioned previously. My instructor at the course gave me the number for a trusted mechanic, so I chatted with him about the used bike I have yet to see (it's 4 hours from home), and asked for approximate pricing for the repairs, tuning, etc. it most likely requires. He ballpark it at $800. I'll keep you informed if this goes further. It went very well. I passed, as did everyone else. I have to say, I am very glad I went through the training from an experience and learning standpoint. I'm taking this entry into riding very seriously when it comes to safety. I am actually looking forward to neighborhood training/drills and future higher level courses. My assessment of the course: Solid instructors willing to answer all questions; the curriculum is laid out in a proven structure that seams to work; Overall rushed to fit it all in. I recommend it strongly, especially as a starting point to do our own practice in huge repetition. I'm a believer in learning the skills so well that you can focus on what's around you for safety and enjoyment. 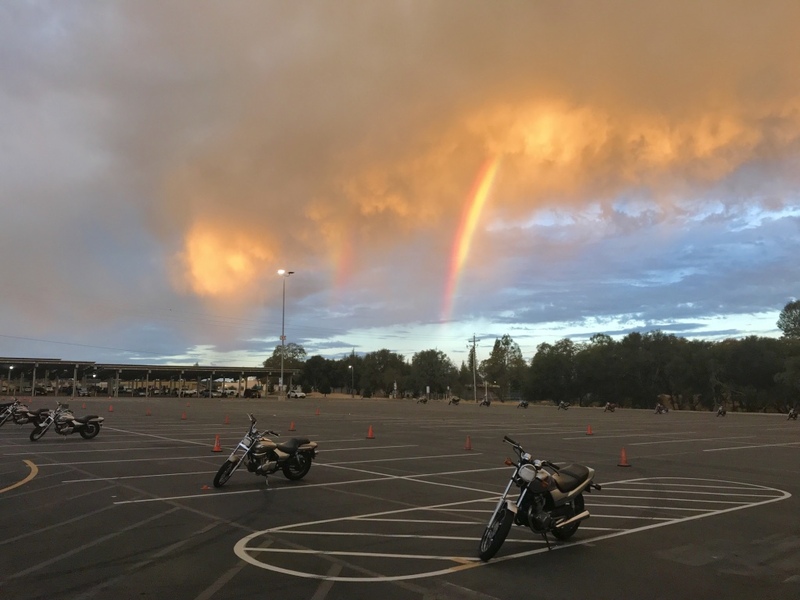 1) The first very early morning on the bikes had an apparent good omen. 2) The bike I was provided for the course, a Honda Rebel 250. Easy learner with a wonky clutch and choke issues when cold. Not bad. 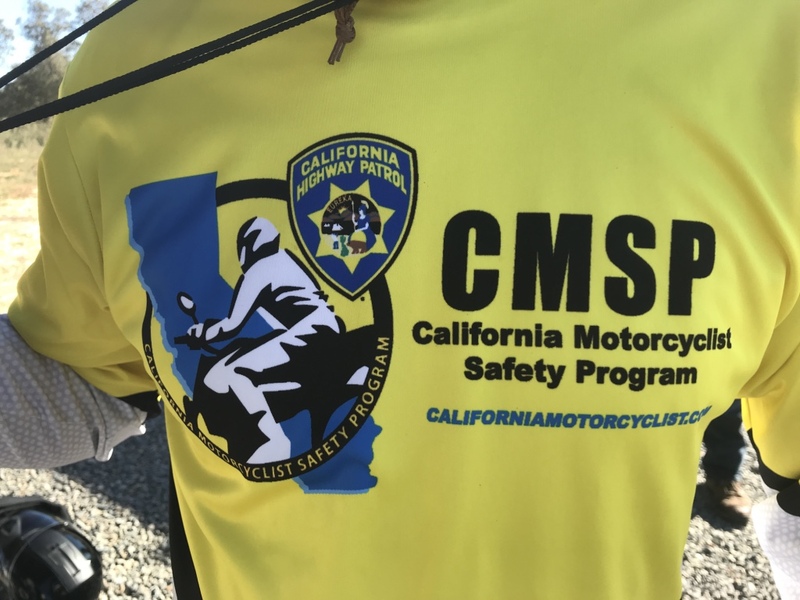 3) Impressive that California funds this program and oversees it. One would think the insurance industry would be a big part of the funding and support. it sounds like you're making great progress. I posted about the class. Thanks for asking. I wish it was within my practicality/personally imposed budget to look at newer / more expensive bikes. I sat on a 2015 wee, as well as a 2015 BMW 700 and a new Honda 700. I got a bit starry eyed. I love quality gear. I will be taking my selection process slow, which is made easier by the 33 degree temperature this morning. I'd love to ride every afternoon this Fall. We'll see what happens. I will contact the seller of the 2004 wee and see if he has any flexibility in price relative to the work it may require before i drive all the way down there. I would hate to do 8 hours of driving to find it is beaten up and not as described. That is the game though. I will admit, I was a actually a little intimidated the first morning of actually being on the bikes. That went away quickly. The slow speed maneuvers were challenging, but higher speed was very comfortable. My 25+ years of serious cycling (road & mountain) really do help with handling comfort, awareness of surroundings, balance and anticipating. i look forward to seeing what you end up with. I'm not opposed to a cheap cruiser for a few months of practice, and then getting what I really want. We'll see. Missed out on the 2004 wee. Sold before I could make the all day journey down there. Fingers crossed I'll find one in the Reno / Sacramento areas within a couple of hours. If this is your first bike, let me make a recommendation . . . If you buy, don't ride it home. Rent or borrow a trailer and bring a friend knowledgeable about getting bikes on and off trailers. When you get it home, spend the first hundred miles or so practicing in your neighborhood where there is little or no traffic. You'll make mistakes (we all do) and better to make them at low speeds within reach of the garage than in front of a speeding semi. JPTahoe, is that your name or are you in the Tahoe area? I'm planning to semi retire in the Gardnerville area next year. You can tell me about all the good local rides! As a matter of fact I'll be there this weekend looking at properties (in the cage this time). Thank you for the opinion. Much appreciated and considered. I do live in South Lake Tahoe. There is a lot of riding in the region! Let me know if you end up in the neighborhood. Hopefully I'll have a ride by then! Best of luck with the impending move. Cool, then you'll just be up the hill from me. About the only ride I know about up there is the Kingsbury Grade . . . I'd love to live in Tahoe but I think it is a lot like living in Malibu - Only one road around the lake - in summer the streets are full of drunken campers and in winter, drunken skiers . . . Besides, while I like snow I have no intention of shoveling it off my driveway.